The manifesto is not something new. There is something that is much older and it originated somewhere in 10th century. Yes, more than a thousand years ago somewhere in the north of europe. Somewhere in the Norse world the first of these laws originated amongst the vikings. They were not made up with Agile in mind but with something else as a goal. They were written to conquer and rule. 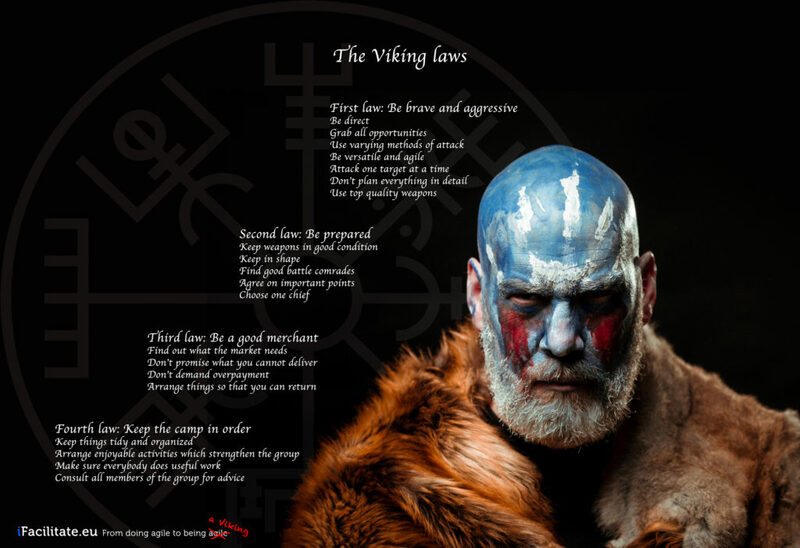 The vikings came up with the “Viking laws” and over the years they changed a bit. The Norse also were very straightforward incoming up with all kinds of laws and agreements on how to behave or life together. The very word LAW in English is a Viking word. After the vikings stopped their reign of terror and christianity spread, the laws changed and became less aggressive. But the first four basic laws are still very powerful. So what are they, and keep in mind that the sub-laws derived from the original four laws.